As our Senba, Osaka trading company specializing in towels rounds out its 65th year, we have seen a steady flow of business even in the midst of a recession. In this economic situation we have been focused on meticulous product development and the approach of creating unconventional forms of demand. We have been introducing high-quality towels directly imported from America and Europe since the 1950’s, and currently our Portuguese JMA and Christy of England items are particularly well-received by our customers, among other brands. We are also handling a number of brands featuring collaborations from both domestic designers and designers from abroad. In addition to these standard procedures, recent years have seen towel function evolve from simply ‘drying’ to ‘wrapping’ and ‘decoration’, leading to the development of our hugely popular ‘cotton muffler’ and tenugui-style towels, both winners of the 2011 Good Design Award. Manufacturers, sellers, and customers have served as a contributing trinity in the introduction of the lll works branding project introduced in 2012, the first entry to win the Good Design Award in all categories. In March of 2000, in advance of the rest of the industry, we received environmental management standard certification ISO14001, and since then producing environmentally-friendly towels has been a regular in-house procedure, and we have been presenting at least one new series every year featuring new perspectives on manufacturing. As per our management principles, our goal is to bring ‘happiness and inspiration’ to our customers. This applies as well to the happiness our employees. As an enterprise, as human beings, we believe it is important to work to whatever extent possible to be of service to society. We approach our work with a fresh sensitivity and dynamism, a bright and positive attitude, and a spirit as soft and gentle as our own towels. We love towels, and manufacture them with focus and warm enthusiasm. To always focus on innovative product development, with the aim of the happiness and inspiration of our customers. We use natural-fiber cotton not just for the production value, but as part of our consciousness of living cooperatively with the natural environment and making products that are gentle for both people and nature. Import/export, overseas operations and domestic wholesale of towels, bath towels, oshibori, sport towels, beach towels, sheets, blankets made of toweling, robes and sleep fashion, towel-related goods, and miscellaneous accessories. Katharine Hamnett, Fila, OLIVE des OLIVE, Christy, JMA, IBENA, etc. Through wholesale businesses throughout the country, we work to meet the needs of retail businesses by providing a wide selection of goods, quick delivery, and support, among other services. We conduct operations such as providing a variety of goods as well as lifestyle suggestions to quickly respond to and meet the needs of department stores, volume sellers, and specialty stores. We distribute high-end Japanese-made towels through retail stores currently centered in Southeast Asia. We offer a selection of products in order to respond to our clients’ ever-changing needs in real time. 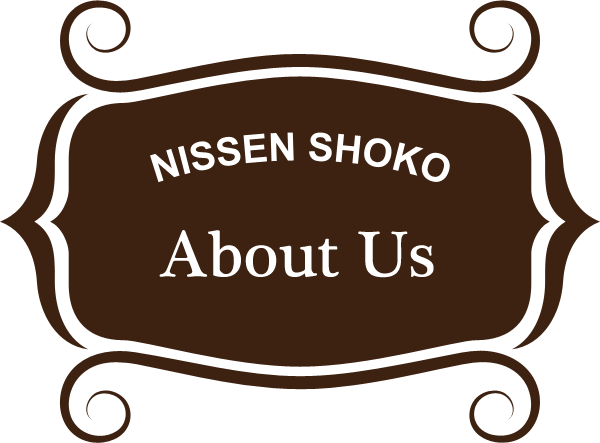 The company name is registered as Nissen Shoko Co, Ltd. Direct import operations begin. The start of American-made ‘MARTEX’ brand towels in Japan. Copyright 2014 Nissen Shoko Co., Ltd. All Rights Reserved.